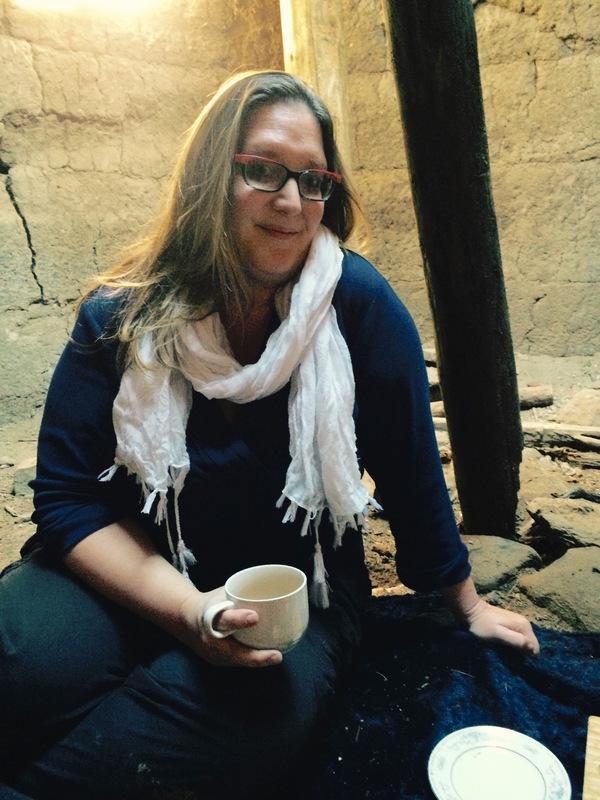 Rachel Preston Prinz defies easy definition; she is an architectural historian, a designer, a writer, a film producer and a compassionate advocate for making the world a better place. Rachel believes that the natural and built environments surrounding us play an integral part in the formation of our lives. Her work investigates traditional and modern approaches to architecture, agriculture, culture, and landscape to address how we might not only survive, but also thrive, and to do so, sustainably. 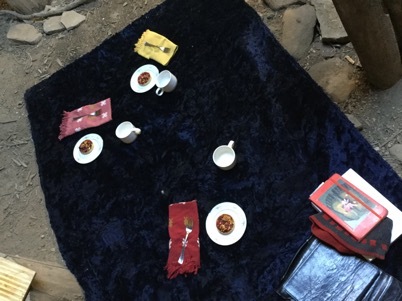 For our Art+Tea conversation and in the spirit of natural living, Rachel took us into the earth of an ancient underground dwelling called a ‘pit-house’. These simple and efficient homes found throughout the southwest were built and inhabited by native americans who lived here almost a thousand years ago. Michael Reynold’s Earthship designs have become a Taos phenomenon spreading throughout the world. The popularity and fascination with these beautiful and quirky homes begs some important questions about the future of sustainable design. 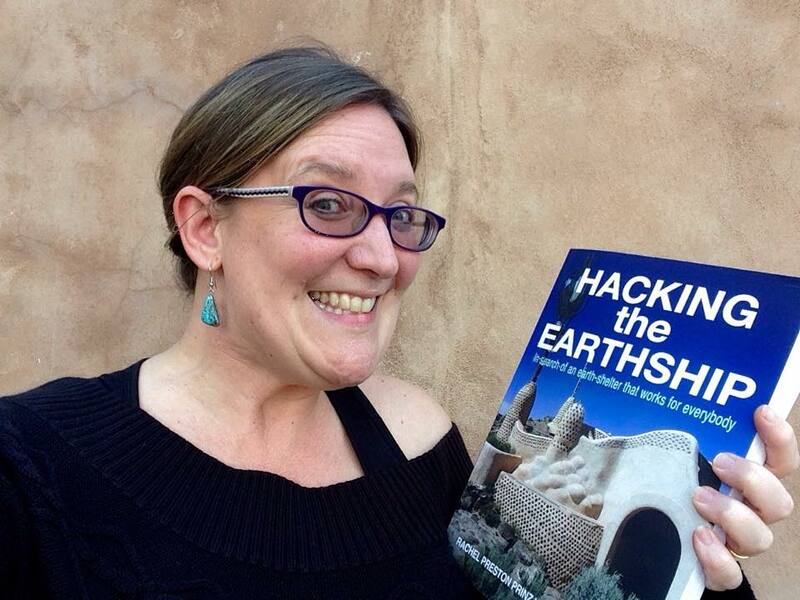 In her book, Hacking the Earthship: In search of an earth-shelter that works for everybody, Rachel takes a critical look at Earthship design and ‘hacks’ Earthship concepts to provide practical knowledge for everyone to build natural and sustainable homes appropriate to their local climate and environment. 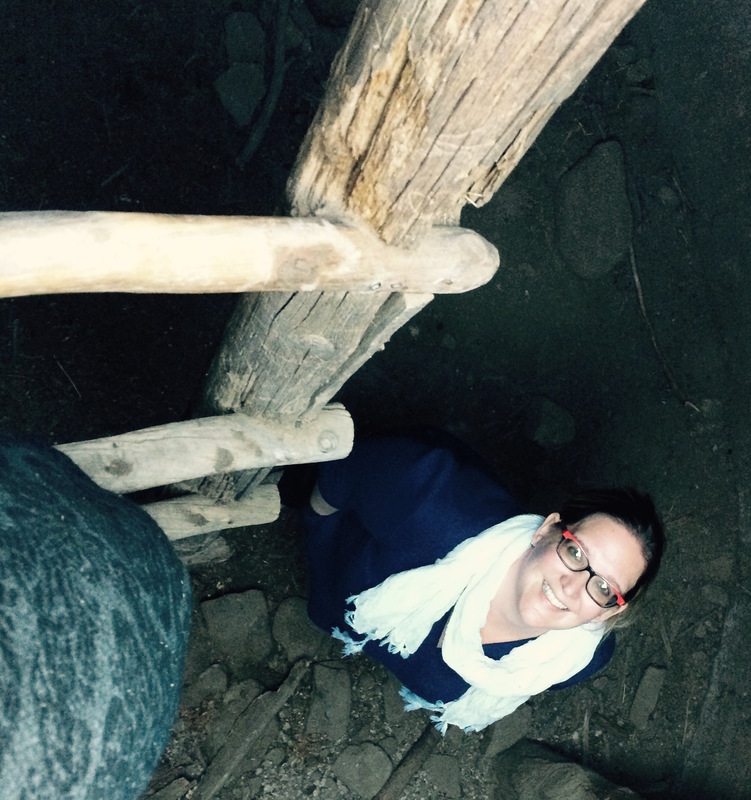 Rachel served as the host for the 2014 UNM-Taos Sustainability Institute Humanitarian Design Seminar organized by Mark Goldman. The Seminar included an Earthship day with a tour of the gorgeous Phoenix Earthship located in the Greater World community north of Taos, NM. Photo by Rachel Preston Prinz. 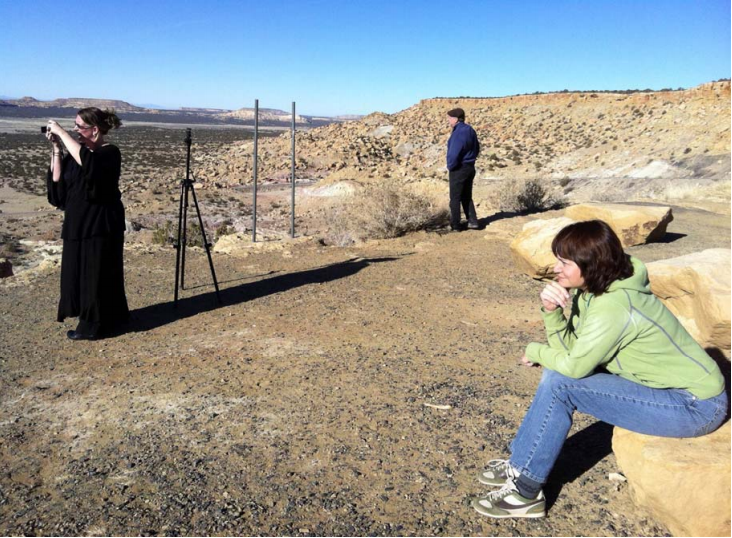 Rachel scopes out scenes in her directorial debut for the new documentary Emergence: Sky City Cultural Center. Emergence tells the story of how the Haak’ume people of Acoma Pueblo in New Mexico were faced with a challenge when their visitor center burned down in 2000: How would they reconstruct a place that welcomed both their own people and Pueblo visitors? Could this new center serve as a bridge between cultural and ‘green’ interpretations of sustainability? The pit-house provided a unique location for our Art+Tea conversation. We were enveloped in an earthy aroma seemly secluded from the world above. Enjoy learning more about Rachel by listening to our conversation on the podcast. Thanks to Rachel for sharing her experiences with us! It’s Holiday-Time & that means my local grocery store stocks up on fresh cranberries, mmmm. My best (found) recipe (I don’t make up anything!) for fresh cranberries is a Cranberry, Caramel & Almond Tart from Maury Rubin’s City Bakery, a detailed recipe is in his Book of Tarts. Buy it tart lovers, & it will introduce you to a number of not-too-difficult, usable, tart recipes & the indispensable flan ring! Bake On! Quick & easy, the only problem being you will wish you made it yesterday if you want to make these tarts today: “what’s done is done?” is “what’s not done” is something better left to ponder while these are in the oven. I rolled out the dough & lined 6 3” flan-rings & par-baked them at 350º, about 8 minutes. until they looked like the photo below. 1 cup sugar in a pan with a decent weight bottom at medium heat. I include this to show how something can always go wrong! (right?) I just guessed that I lost a 1/4 cup & replaced it & then kept the temperature extra low! You will want the cream to be heated before you add it to the sugar so the sugar doesn’t crystalize & get a bunch of hard chunks. 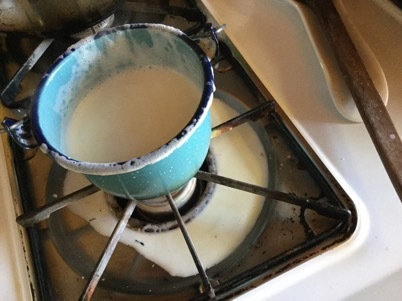 After a few minutes the melted sugar/cream mixture will start to calm down. 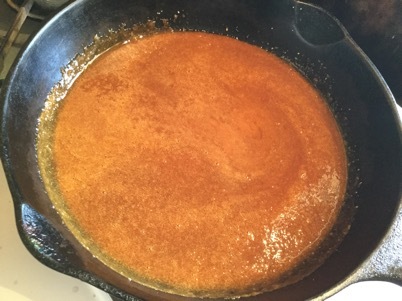 Stir until it is combined & looks like caramel, right! 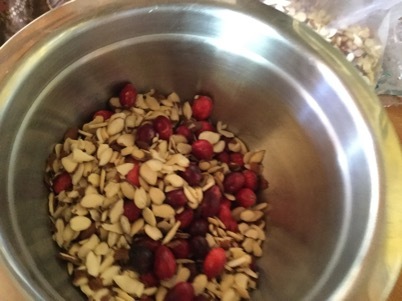 Combine 1 bag of fresh cranberries & 6 oz sliced almonds. 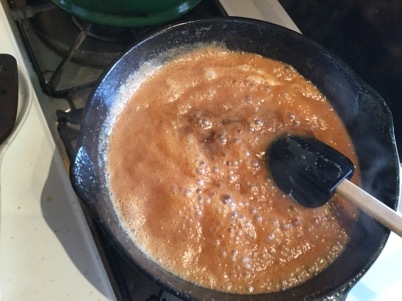 Pour the finished caramel mixture over mixture & stir it up. 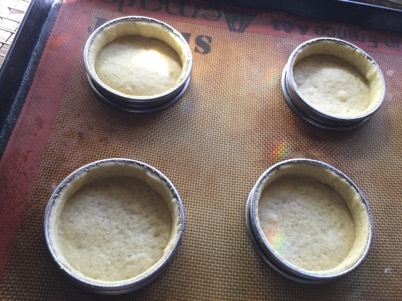 Then put a scoop into each of the par-baked tart shells. 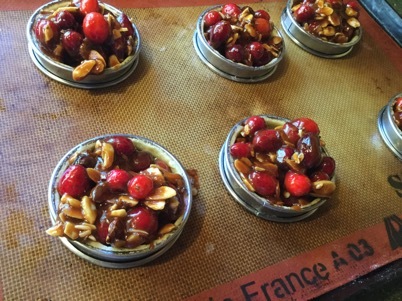 Bake these for 20 minutes at 350º until the cranberries pop & the tart is all juicy. 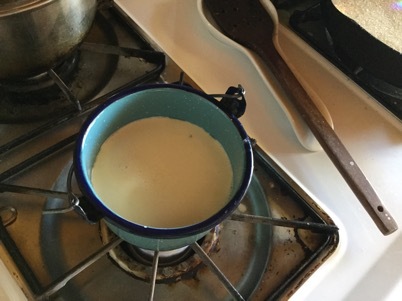 I use a set of tongs & lift the flan rings off while the caramel is still molten & isn’t stuck to the tarts, This is a recipe where flan-rings are essential because the fluted style are really a pain to get apart at the end. And here they are ready to eat in the pit-house. Good Luck! Featured photo by Rachel Preston Prinz of Acoma Pueblo.